From grants to consulting services, to training and education, the BWC provides resources to help businesses keep their employees safe. And now with our safety campaign, we're helping Ohioans learn how to prevent slips, trips and falls, overexertion, and driving related incidents, which are responsible for more than 60 percent of major injuries in the workplace. They're also among the most frequent causes of injury at home. The premise of the campaign is simple: No one wants to get hurt, but safety isn't something we really think about. 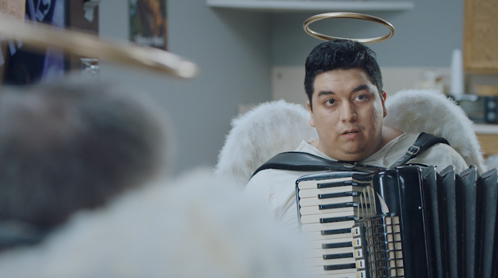 Using a classic symbol of protection, a guardian angel, or in this case, two worn-out guardian angels sharing stories about how overworked they are trying to keep their humans safe, the humorous approach reminds us that safety is ultimately our own responsibility. The campaign has been running on Fox Sports Ohio during Cavaliers, Indians, Reds, and Blue Jackets games; the message will also be in many minor-league ballparks and on streaming services such as Pandora and YouTube, in addition to other sites with digital advertising.